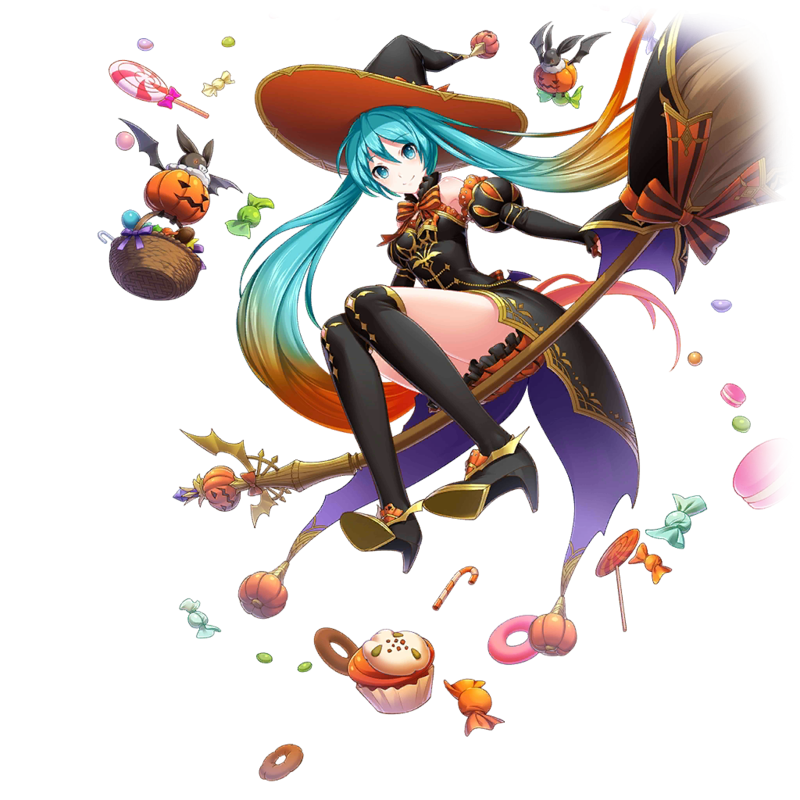 Hatsune Miku ready to start some Halloween fun. 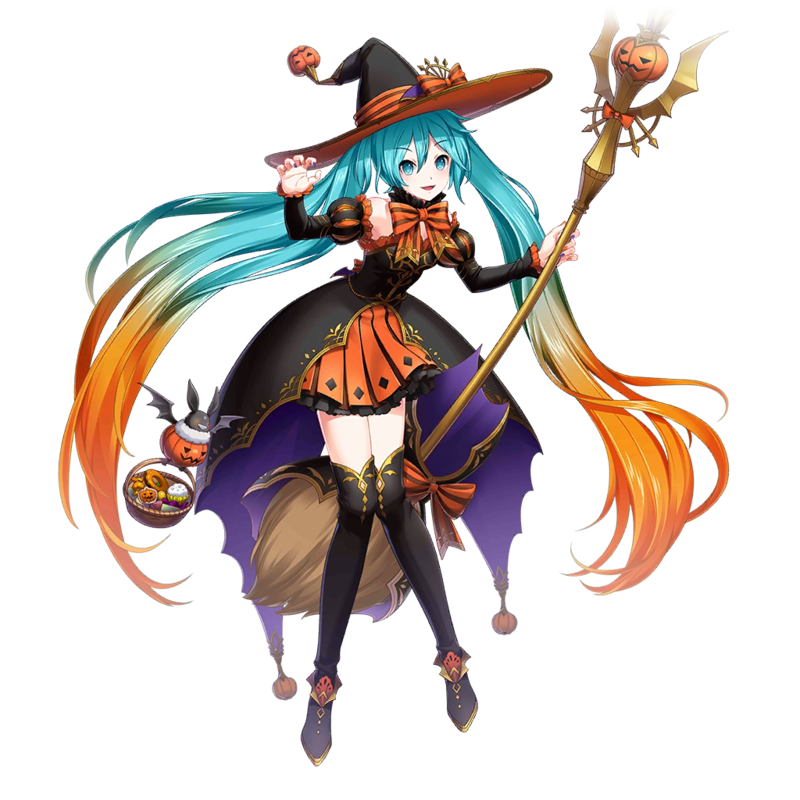 She draws huge crowds no matter how spooky her songs are. Curse And Confusion?! Thats a wrap Bro i'm rerolling right now! I rerolled through 40 accounts and i still havent gotten her... I think that Lucky summon is rigged. Only certain way to get her is to pull enough times to hoard up 10k coins.. I rerolled over 80 times now...I think im losing my sanity. I know this is a really rare exclusive character... But.. nevermind ill post another comment if i get her.